SANTA CRUZ, Calif.— On Tuesday, June 2, the student government at the University of California, Santa Cruz (UC Santa Cruz), unanimously passed “A Resolution to Divest from the Republic of Turkey to End the Perpetuation of the Armenian Genocide”. The resolution ultimately called for UC Santa Cruz, the UC Santa Cruz Foundation, and the University of California to divest $72.6 million dollars worth of University of California bonds and investments in the Republic of Turkey for its crimes in, and continued denial of the Armenian Genocide. “Going through the process of this divestment was an amazing feeling and experience. With this victory we are showing the Republic of Turkey, which is a remnant of the Ottoman Empire that we are still here. This divestment resolution proves that the efforts to eliminate our people failed. It is incredibly empowering to have the students of UC Santa Cruz stand with us in solidarity fighting for acknowledgement of the crimes committed against our people, and more importantly for justice.” said Kami Kahwedjian a UC Santa Cruz student. Over the last few months, similar resolutions have passed at UCLA, UC Irvine, UC Davis, UC Riverside, and UC Berkeley as the strength of the “#DivestTurkey” campaign continues to grow. 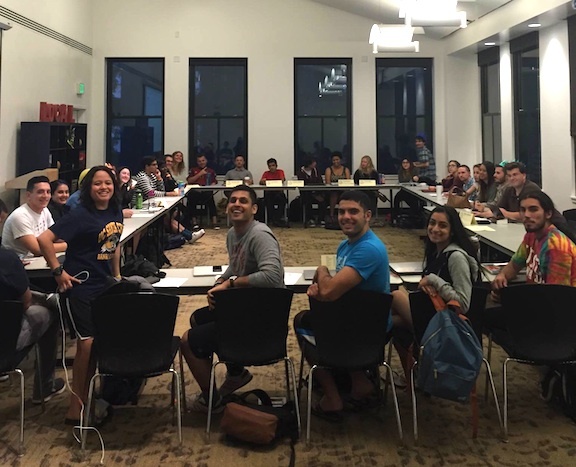 RIVERSIDE, Calif.—The Associated Student Body Government of the University of California, Riverside on Wednesday voted unanimously to divest approximately $72.6 million in bonds and holdings in the Turkish government. “By investing $70 million in Turkish bonds, the UC system is supporting a human rights violation that the Turkish government has denied for a century. It is important that we support this divestment revolution because it shows that UC Riverside takes a strong stance against the perpetuation of genocides,” said Armenian Student Association member Petros Keosoian. The resolution aims to divest the funds from the Turkish government “for it’s role in and the continued denial of the Armenian genocide”. “This marks another step in the Armenian community’s call for divestment from the Republic of Turkey, following in the steps of UCLA, UC Berkeley, UC Irvine, and UC Davis,” said Seto Cherchian, a member of the UC Riverside ASA and an activist from the Armenian Youth Federation. Wednesday’s vote marks the fifth divestment resolution passed at a University of California Campus. Just last week student governments UC Irvine and UC Davis joined their peers at UCLA and UC Berkeley in passing similar resolutions. Moreover, just last month, ASUCI unanimously passed A resolution “Commemorating the Armenian Genocide and Condemning its Denial,” raising further awareness on campus about the Armenian Genocide and its need for international recognition. DAVIS, Calif. — On Thursday, May 7th, the student government at the University of California, Davis (UC Davis), with a vote of 2 abstains and 10 yes’, passed “A Resolution to Divest from the Republic of Turkey to End the Perpetuation of the Armenian Genocide”. The resolution ultimately called for UC Davis and the University of California to divest $72.6 million dollars worth of University of California bonds and investments in the Republic of Turkey for its crimes in, and continued denial of the Armenian Genocide. 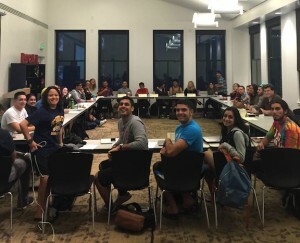 Various students of UC Davis, members of the Armenian Students’ Association (ASA), along with members of the greater Armenian community gathered for the hearing of the resolution and spoke about the university’s investments in the Turkish government, its compliance in genocide denial, and the need for divestment. The student governments of UCLA, UC Berkeley and UC Irvine unanimously passed similar resolutions during January, February and May of this year. Moreover, just last month, ASUCI unanimously passed A resolution “Commemorating the Armenian Genocide and Condemning its Denial,” raising further awareness on campus about the Armenian Genocide and its need for international recognition. Berkeley, Calif. — The University of California, Berkeley (UC Berkeley) undergraduate student body Senate unanimously voted on Wednesday night to divest $72.6 million worth of University of California bonds and investments in the Republic of Turkey for their crimes in and the continued denial of the Armenian Genocide. 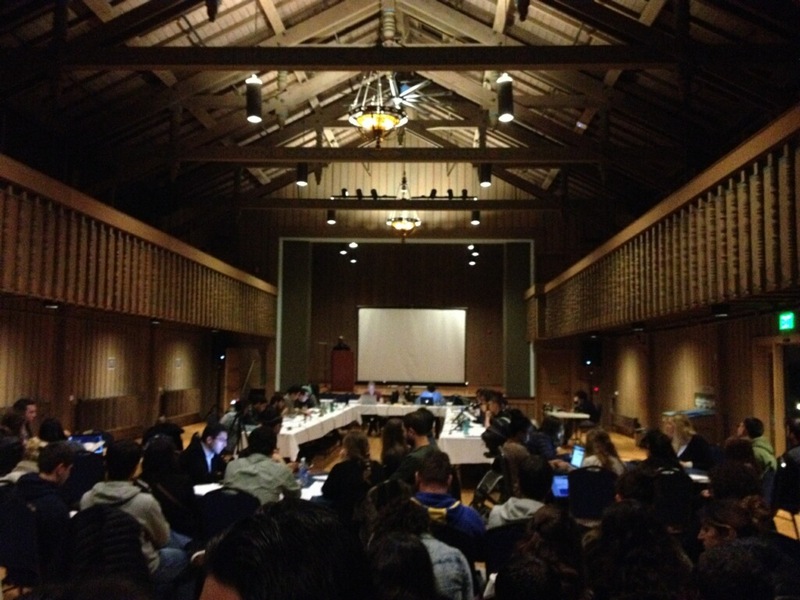 The resolution titled “A Bill in Support of Divestment from the Republic of Turkey” passed at 11:00 pm at Anna Head Alumnae Hall at UC Berkeley. The resolution is part of a larger initiative (#DivestTurkey) spearheaded by the Armenian Youth Federation – Western United States, calling on institutions to divest from the Republic of Turkey. “With the support of not only our Armenian community here at Cal, but also with the Berkeley community at large, we are so proud to have been a part of history tonight with the passing of this bill at UC Berkeley,” said Sareen Habeshian, a UC Berkeley student and Armenian Student Association member. The bill’s passage comes a few weeks after the UCLA student body government unanimously passed a similar resolution, and just two weeks after a University of California Student Association (UCSA) bill that was passed in Los Angeles also demanding divestment from the government of Turkey. “I, like so many others, have grown up surrounded by conversations about ‘Hye Tad’ but it was always so abstract. What could someone like me do to raise the Armenian Cause, to move it forward, to fight for it? I am 100 years removed from the genocide, I don’t live in the Homeland, I didn’t go to an Armenian school growing up, yet there has always been a pull towards something bigger than myself. We, as UC students, were given the chance to finally raise the Armenian Cause and fight for what is right and what is just. The Cause doesn’t belong in places only filled with Armenians. It should permeate every aspect of our life — our homes, our work place and especially our school — which is exactly what we did tonight by calling for the divestment of our tuition from the Republic of Turkey.” said Christina Mehranbod, UC Berkeley senior and AYF member. To find out more about the (#DivestTurkey) Initiative contact DIvestment@AYFWest.org. Westwood, Calif. — The University of California, Los Angeles student body government on Tuesday night unanimously voted to divest $72.6 million dollars worth of University of California bonds and investments in the Republic of Turkey for their crimes in and the continued denial of the Armenian genocide. The resolution, titled “A Resolution to Divest from the Republic of Turkey to End the Perpetuation of the Armenian Genocide”, passed with a vote of 12-0-0 around 10:00 p.m. at Kerckhoff Hall in UCLA. The resolution is part of a larger initiative (#DivestTurkey) spearheaded by the Armenian Youth Federation — Western United States — a grassroots community organization dedicated to justice– calling on institutions to divest from the Republic of Turkey. The resolution passed with overwhelming support from UCLA’s general student body and official UCLA student organizations. “Tonight demonstrates the Armenian community is not alone in its fight for justice and reparations for genocide,” explained Razmig Sarkissian, an AYF member and UCLA alumnus. Student organization co-sponsors included Armenian Dance Group, Alpha Epsilon Omega, Alpha Gamma Alpha, Armenians for Health Advancement, Hidden Road Initiative and Samahang Pilipino. Student organization endorsers included Bengali Students Association, Indus, Jewish Voice for Peace, Native Roots, Samahang Pilipino, Sikh Student Association and Students for Justice in Palestine. “The AYF plans to expand the #DivestTurkey initiative, working with several colleges and universities in order to introduce similar resolutions in the coming weeks and months,” said Iskajyan. Campus organizations and interested individuals can contact Divestment@AYFwest.org.